Between general birding, scouting for the Fairfield Big Day, and the crazy period during school before the final exams, May sure is a busy month. With most of my time dedicated to school work and being out in the field, there’s hardly time for anything else. That includes blog posts. Thus, I’ve decided to post a weekly summary of the past week’s events for every week during May. That way, I’ll be able to keep up with the birds and the school work while still keeping the readers updated. So for the first May Madness post, we begin, most fittingly, on Tuesday, May 1st. To recap for those who don’t remember, Connecticut had experienced a pretty decent nocturnal migration the night of April 29th into May 1st. During the later half of the night, showers had pushed into the moving cloud of birds, and southern New England looked poised to take advantage of fallout conditions with our first major warbler movement of the season. Despite having returned home late from a party the night before, I still planned to be out early on Tuesday morning to hopefully see some of my first neotropical migrants. However, when I awoke Tuesday morning, I found heavy showers falling on the yard. The rain was just too much for me to have an effective outing, and thus I decided to head off to school and work the Birdcraft when I returned home. My high hopes for a good afternoon at the sanctuary were dashed after I was only able to come up with 18 species, none of which were wood-warblers. In what one would consider a cruel twist, most birders in Connecticut had the same experience as me. 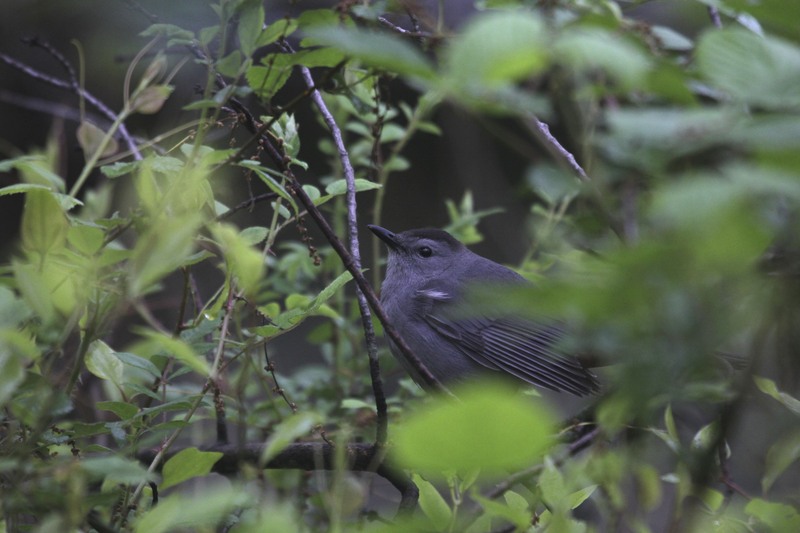 Only a few isolated pockets of wood-warblers were reported, and most wound up having less than what was hoped for to show for their outings, save quite a few catbirds. 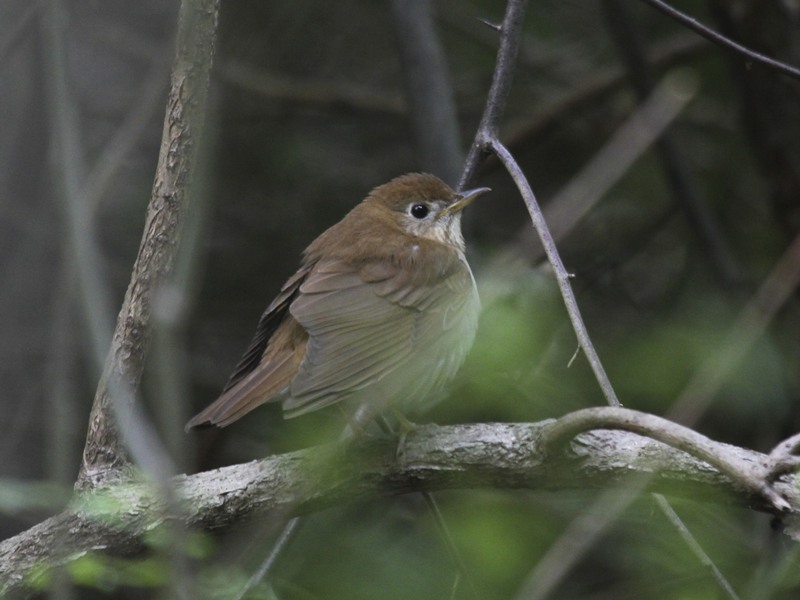 On the night of May 1st into May 2nd, Connecticut birders watched another modest flight take place. Far from discouraged, I planned on once again giving the Birdcraft a go that afternoon after school. While at school that day, I picked up my FOY Nashville Warbler and CT FOY Common Yellowthroat, both in full song on the school grounds. And although my visit to the Birdcraft that afternoon started out quite slow, it ended with a bang, and I was able to come up with just over 30 species in under two and a half hours. 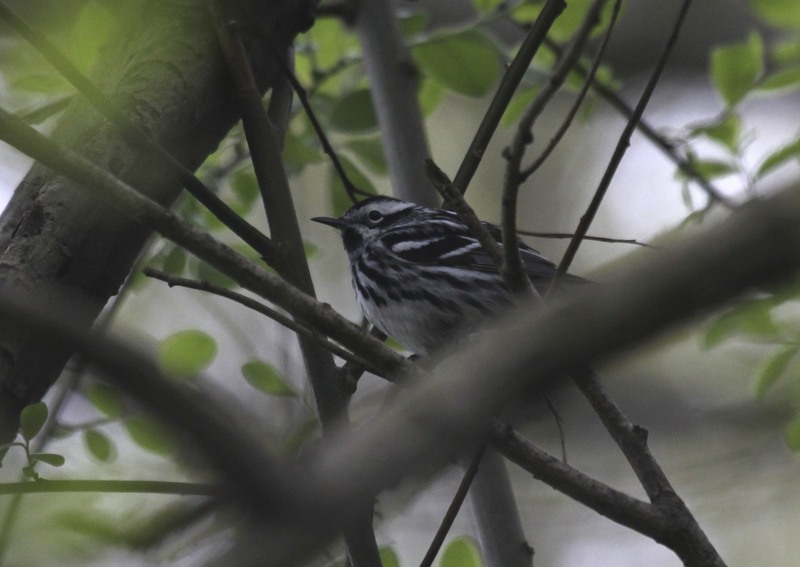 The thirty-one species total included 5 species of wood-warbler including Black-and-white, Yellow, my FOY Black-throated Green, Northern Waterthrush, and Northern Parula. Other highlights or FOYs included Great Crested Flycatcher, Least Flycatcher, Wood Thrush, Veery, Warbling Vireo and Eastern Phoebe. But my introduction to full-scale Neotropical Migration 2012 didn’t end there. Upon returning home, the day just got better when I was able to throw together a nice little yard total of 21 species that included Veery, Ruby-crowned Kinglet, Chimney Swift, American Redstart, Magnolia Warbler, and Black-throated Blue Warbler. 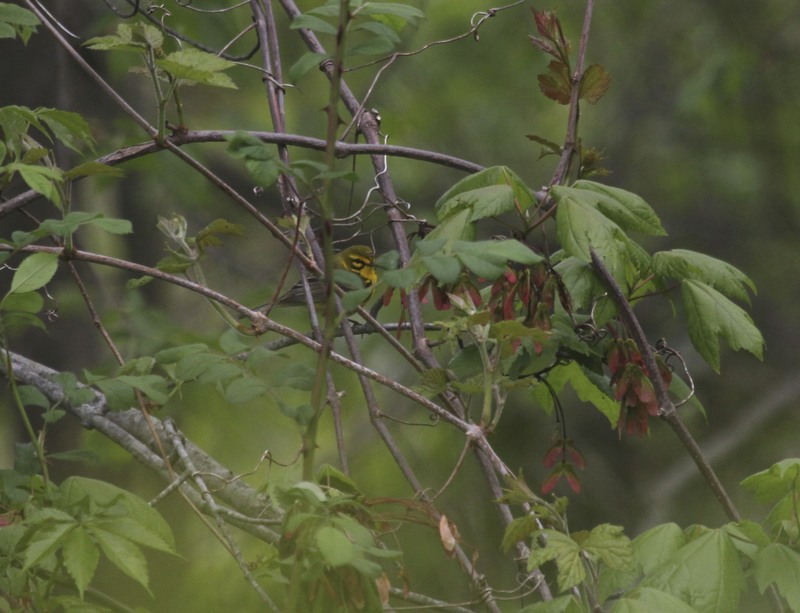 Although the next day, May 3rd, was mostly an off-day due to an afternoon hospital visit, I was nevertheless still getting warblers, this time in the form of four heard-only species at school that morning: Nashville, Magnolia, Pine and Common Yellowthroat. Even though the winds were predicted to be less than ideal for large-scale migration during the night of May 3rd, frequent checks of the radar showed a steady and strong flight occurring, with many of the migrants to our south! The next morning at school seemed to reflect this, as I picked up both Yellow Warbler and American Redstart singing on the campus. With terrific reports pouring in from across the state (including 20 warbler species at East Rock Park), I was eager to get to the Birdcraft that afternoon. And I was not disappointed! In what might have been my single best afternoon visit to the Birdcraft ever, I racked up no less than 52 species including 15 wood-warblers! My eBird checklist (click on ’52 species’) provides many of the locations where I had these birds, so I’ll stick to the highlights and some photos here. In terms of highlights, they were abundant. 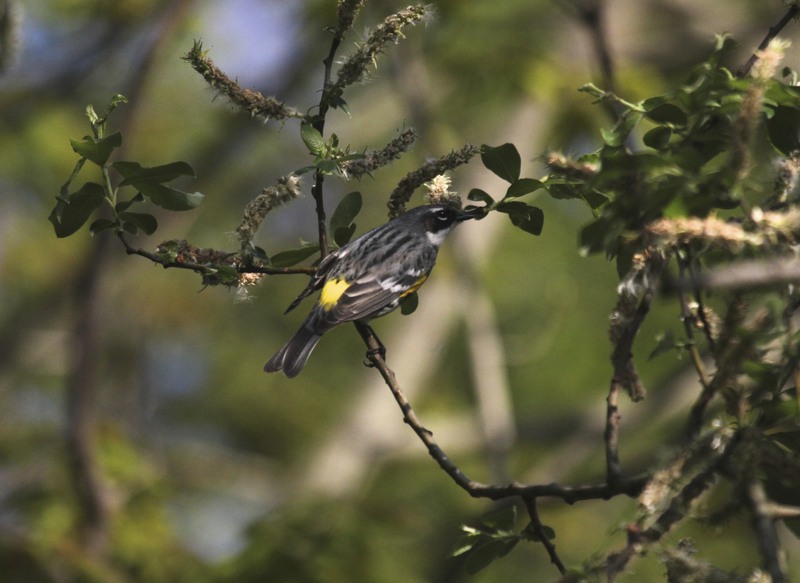 Some of the more notable included 15 wood-warbler species: Ovenbird, Worm-eating, Black-and-white, Nashville, Magnolia, Blackburnian, Yellow, Chestnut-sided, Black-throated Blue, Yellow-rumped, Black-throated Green, Northern Parula, Common Yellowthroat, American Redstart and Northern Waterthrush. But why stop with warblers? 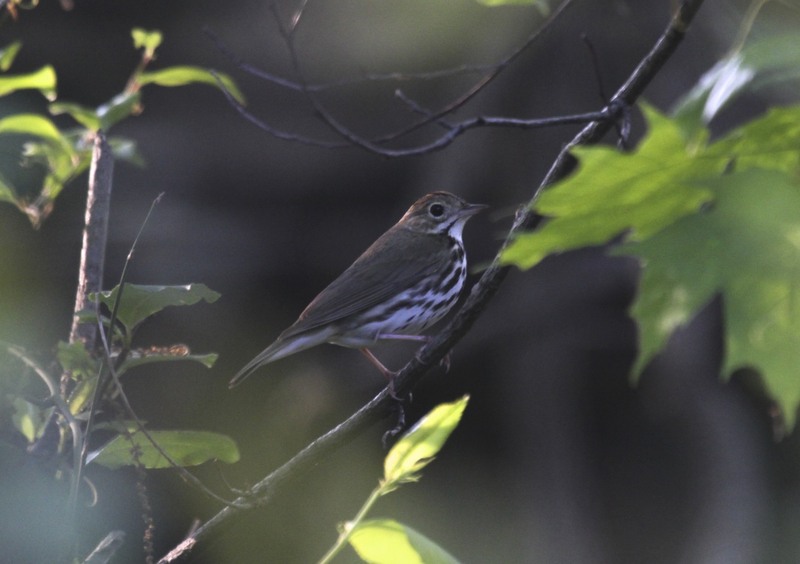 I also enjoyed a ton more awesome non-wood-warblers that included Eastern Wood-Pewee, Eastern Phoebe, Yellow-throated, Blue-headed and Warbling Vireos, Veery, Swainson’s and Wood Thrushes, my first Savannah Sparrow ever at Birdcraft and absolutely breathtaking Scarlet Tanagers and Baltimore Orioles. 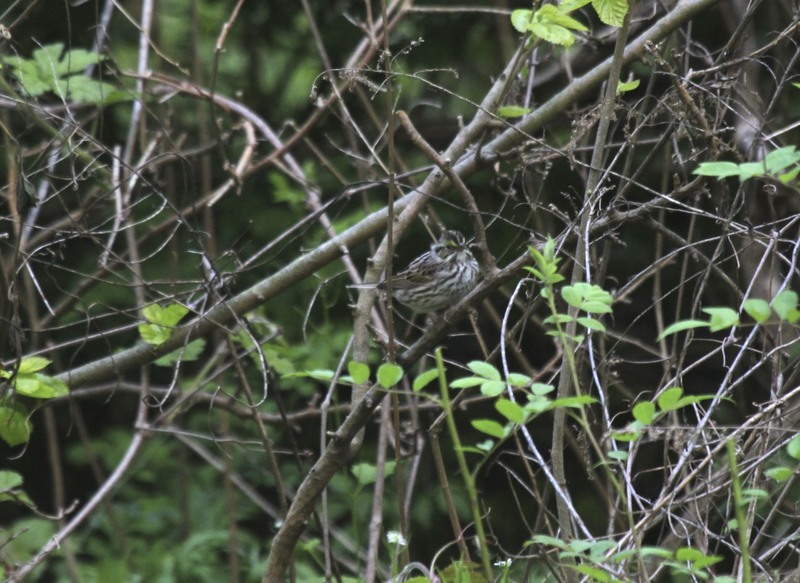 Savannah Sparrow – my first for the Birdcraft! It truly was an incredible afternoon, far surpassing my expectations. It was the first stop on a wild ride of a weekend, and what a stop it was! 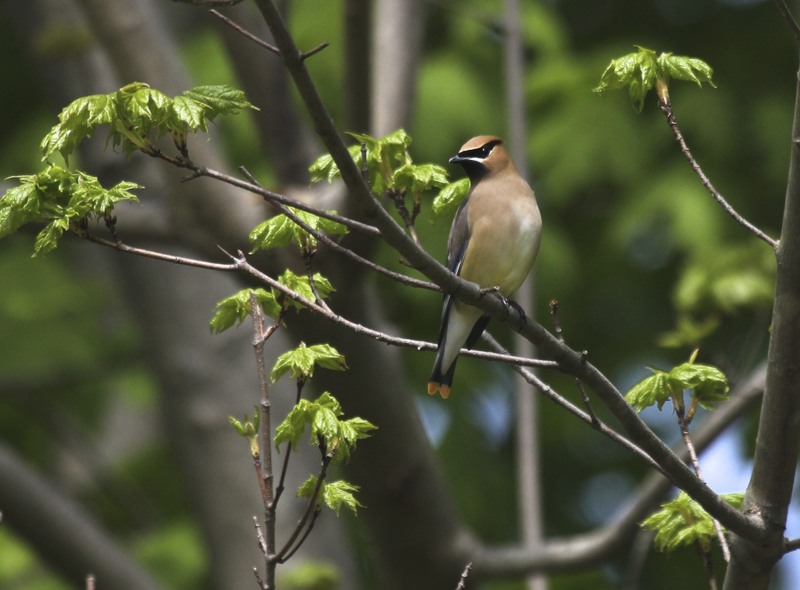 Another substantial flight took place on the night of May 4th into May 5th and, with work and school out-of-the-way, the full might of the Connecticut Birding Community prepared to take to the field in force Saturday morning. While others started out at hotspots such as East Rock Park, I again chose the humble Birdcraft Sanctuary as my spot of choice, and again the Birdcraft produced, far exceeding my expectations for the second time in two days. In short Saturday morning was &^@*#$% RIDICULOUS. It confirmed again for me just why this is my favorite time of year and just why wood-warblers are my no-doubt favorite family of birds. Over the course of four hours, I threw together a total of nearly 60 species, once again picking up 15 species of wood-warbler, although in much larger numbers than the day before. The sanctuary was absolutely flooded with migrants. With every step, two of my senses, visual and auditory, were absolutely overwhelmed with the sound and sight of so many birds. I wasn’t sure where to turn, what to focus my attention on. It was simply incredible. 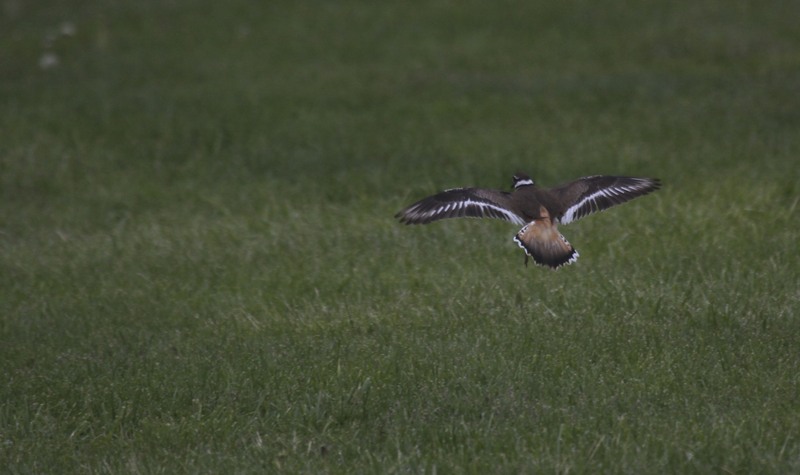 It was what I had spent my last two years only birding in Fairfield for. It was a proud moment, a very proud moment. My town had done it: bird local, think global was truly the way to go! The highlights came fast and furious. I’ll start with the 15 wood-warbler species: Ovenbird, Worm-eating, Black-and-white, Nashville, Magnolia Blackburnian (STUNNING), Yellow, Black-throated Blue, Palm, Yellow-rumped, Wilson’s, Northern Parula, American Redstart, Common Yellowthroat and Northern Waterthrush. 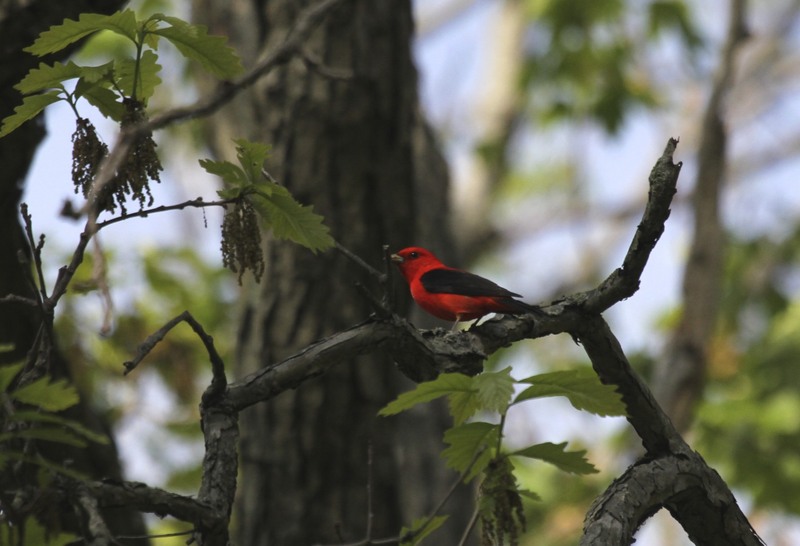 And lets not forget the others: Eastern Phoebe, Eastern Kingbird, Great Crested Flycatcher, four vireo species (Yellow-throated, Blue-headed, Warbling and Red-eyed), Ruby-crowned Kinglet, Wood Thrush, Veery, Scarlet Tanager, and 5 gorgeous Baltimore Orioles all foraging together in the same oak. 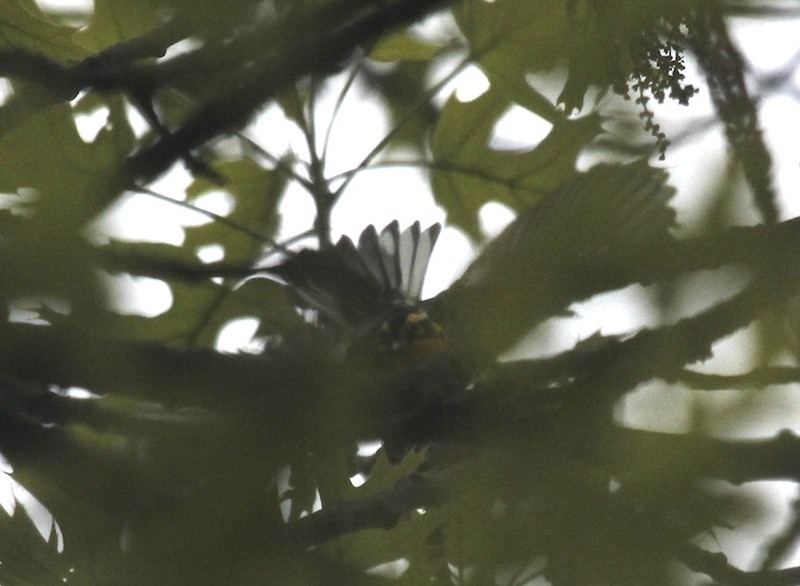 Despite all the effort, this is the best I did with regards to this Blackburnian Warbler, who (as is often the case with this species) stubbornly refused to remove himself from the treetops! Can you see the insect in the REVI’s bill? It truly was an incredible morning, but the day was just heating up! I then returned home, hoping to take a break for a couple of hours for lunch and a nap before heading back out. 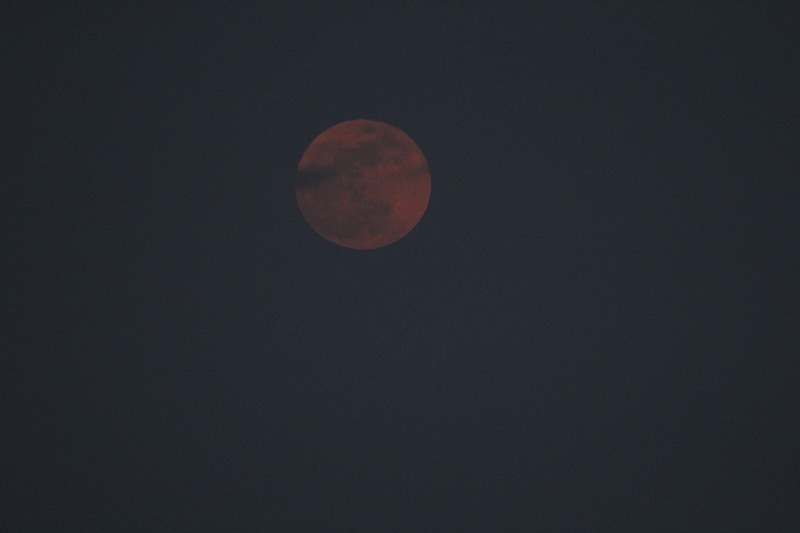 However, just when I was beginning to doze off I heard a loud pit-see! and ran out into the yard to find an Acadian Flycatcher briefly sitting in plain view before flying off. One thing led to another and before I knew it, I’d spent an hour out there, recording 37 species, including 9 wood-warblers, two of which I hadn’t had that morning, putting my day total at 17 and my weekend total at 18! 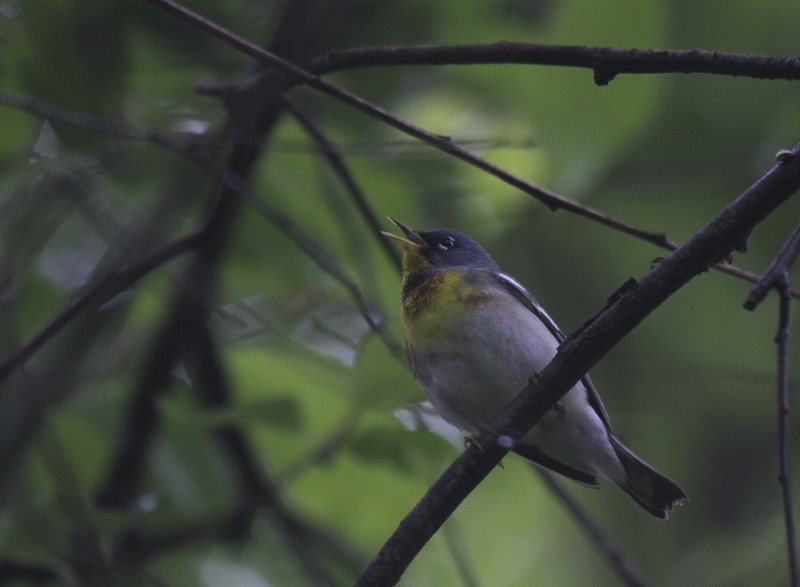 The newbies on the list were Black-throated Green and Prairie Warblers, while the others were Ovenbird, Nashville, Magnolia, Yellow-rumped, Common Yellowthroat, American Redstart and Northern Parula. 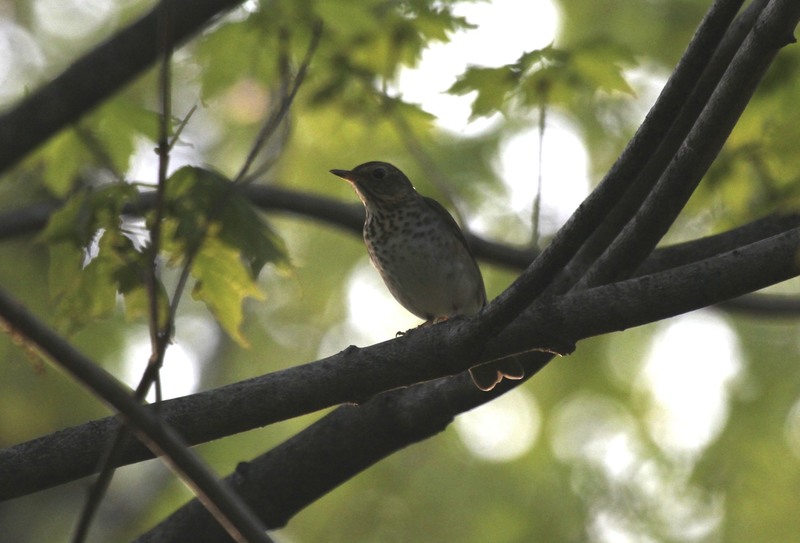 Other fun birds in the yard during that terrific hour-long period included Great Crested Flycatcher, Warbling and Red-eyed Vireos, Ruby-crowned Kinglet, and Wood Thrush. With some time to kill before I wanted to head to Pine Creek, I thought I’d take a quick walk over to Sherman to see what was happening there. What was supposed to be a quick half-hour jaunt through the place turned into an almost three hour long trek in which I covered almost every piece of the area, from the Sherman Fields, to the Old Burying Ground to the town green. I threw together a list of 43 species and just kept piling on the highlights. I was especially surprised with how productive the town green and ornamental plantings were, and are definitely something I have to check back into as those in flower stand a serious chance of attracting a Cape May or other uncommon warbler. Overall, the place was just darn birdy, something that isn’t always the case at Sherman. It seemed like the magic of the day couldn’t be contained, and I once again enjoyed another terrific stop. The highlights included 11 species of wood-warbler, including another new species (Pine), putting the day total at 18 and the weekend total at 19 wood-warbler species! 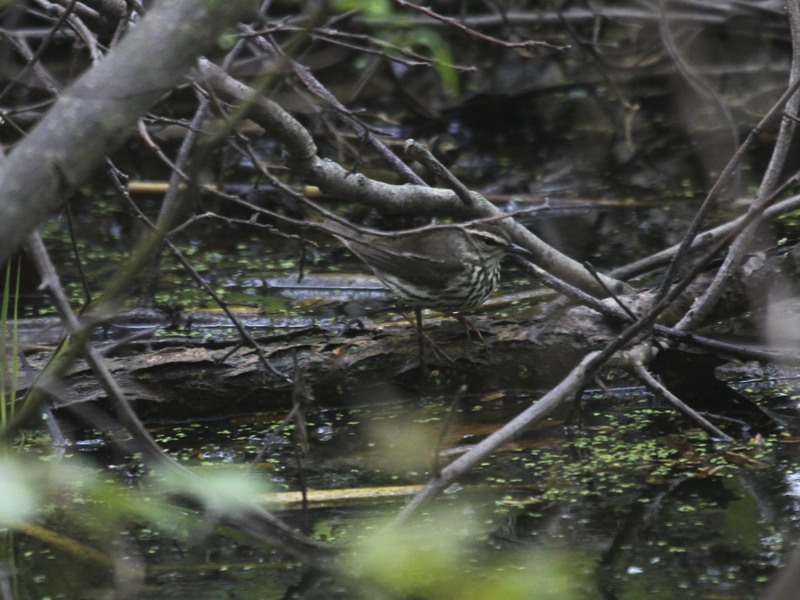 The other 10 warbs were: Black-and-white, Nashville, Yellow, Yellow-rumped, Prairie, Black-throated Green, Northern Waterthrush, American Redstart, Common Yellowthroat and Northern Parula. 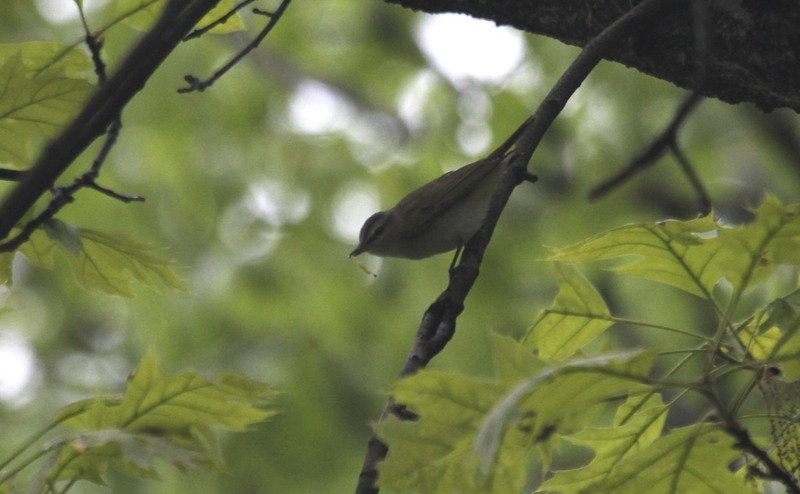 But again, many other birds competed with the wood-warblers for my attention. 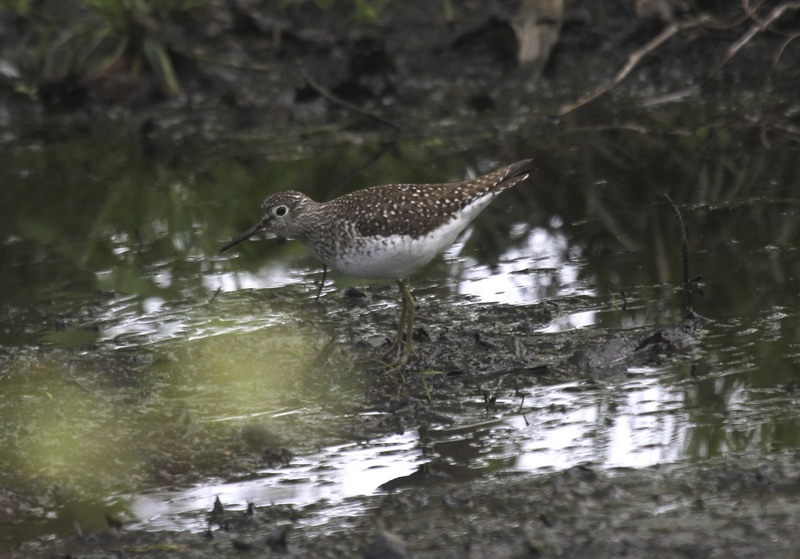 These included: Solitary Sandpiper (my second record for Sherman! 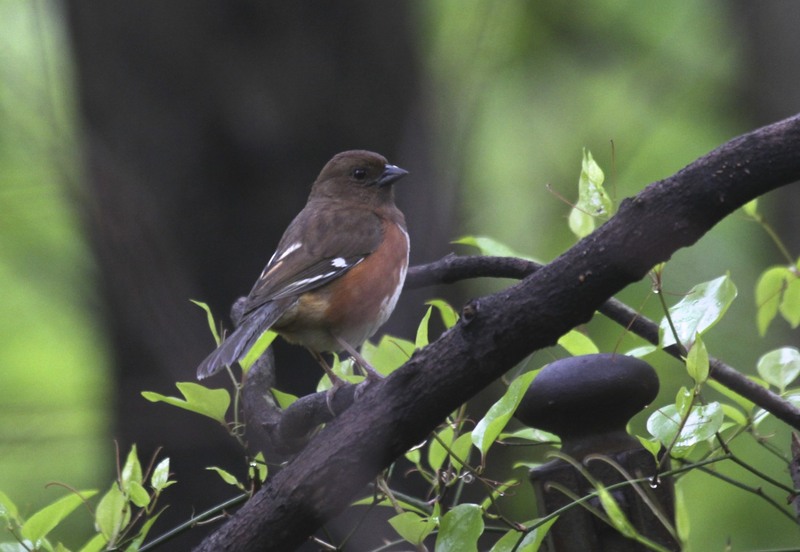 ), Ruby-throated Hummingbird, Great Crested Flycatcher, Warbling Vireo, Ruby-crowned Kinglet, a fun group of Cedar Waxwings, Field and Savannah Sparrows and Baltimore Oriole. 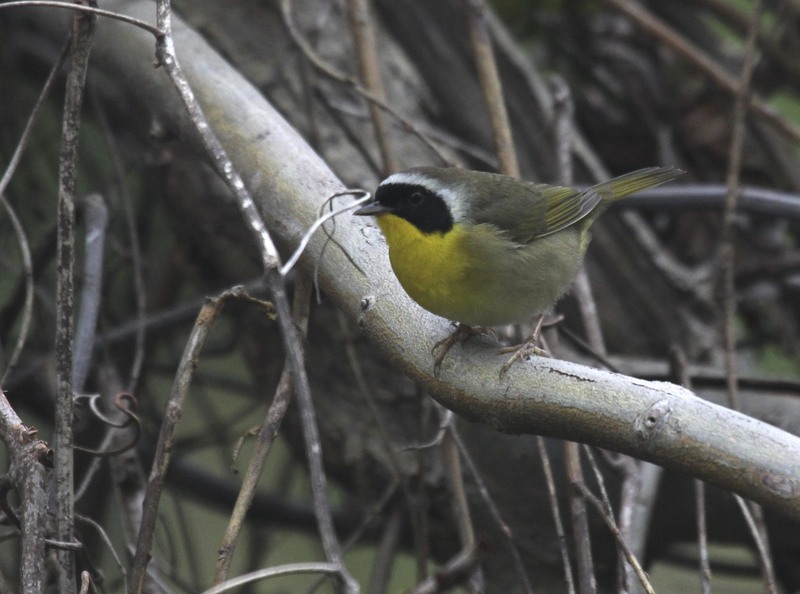 Common Yellowthroat – the masked bandit! Only the second Solitary Sand for Sherman! Another look at this common but stunning species. It was one of my best visits to Sherman ever, and capped off what was an incredible run of birds that day. I never did make it out to Pine Creek, but I was able to sneak out one more time that evening, heading to Stratford Point with Brendan Murtha and his dad, Sean, to look for the previously reported Chuck-will’s-widow. Although we didn’t have any luck with the Chuck, I did enjoy my FOY Common Tern and a beautiful evening on the water as well as a few laughs with some good birding friends. 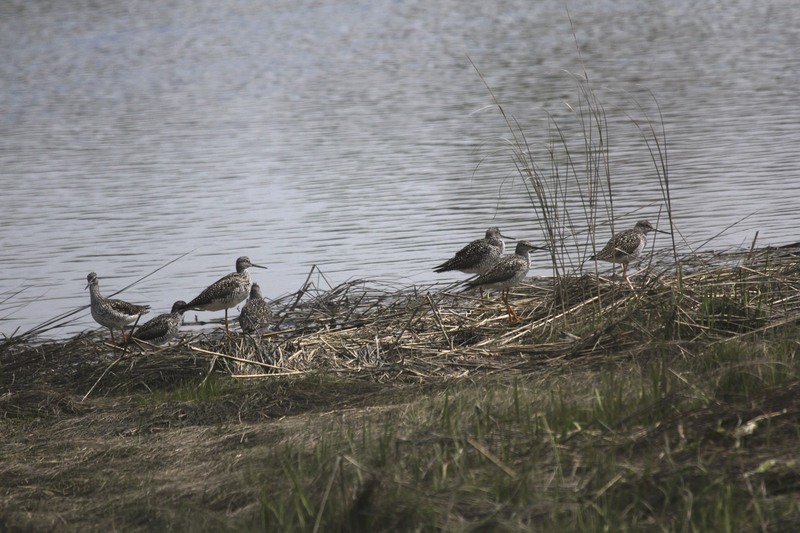 The flight during the night of May 5th into May 6th was less productive for CT, with many birds making their way out of the state with few new arrivals replacing them. I again woke early, heading to the Birdcraft for a third-straight day, to join my fellow young birders on our May CTYBC trip to watch the resident banders work their magic. Although we found far fewer migrants than the torrential amount I had the previous morning, we still recorded 35 species including 8 wood-warblers and banded some pretty special birds as well. Overall, it was a great morning and seeing those stunning warbs at close range is always a treat. 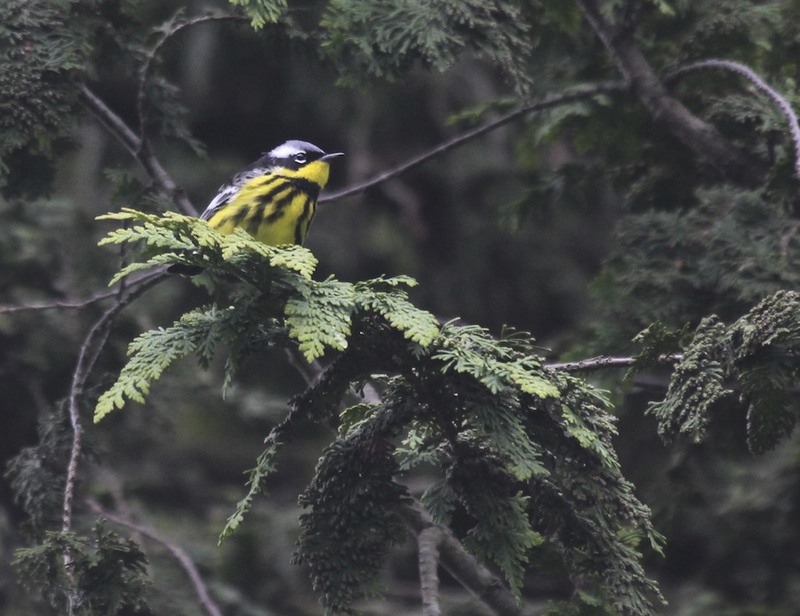 The highlights included: Eastern Phoebe, Great Crested Flycatcher, Warbling Vireo, Veery (banded), Scarlet Tanager and of course the wood-warblers: Black-and-white, Magnolia (banded), Yellow, Palm (banded), Yellow-rumped (banded), Wilson‘s (banded), Northern Waterthrush and Northern Parula. 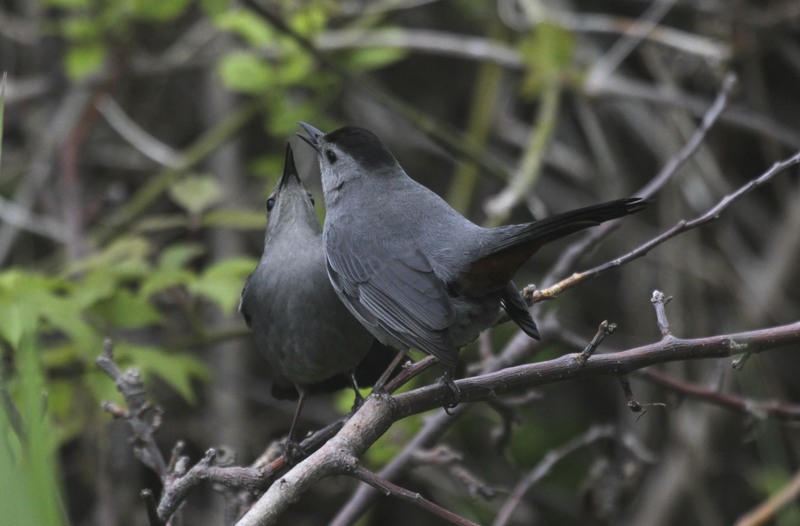 Look for a post on the CTYBC website by James Purcell with more results and photos. After the Birdcraft, a few of us moved over to the Ash Creek Open Space area in search of a few local specialties. It was a very productive stop, in which we netted 48 species. 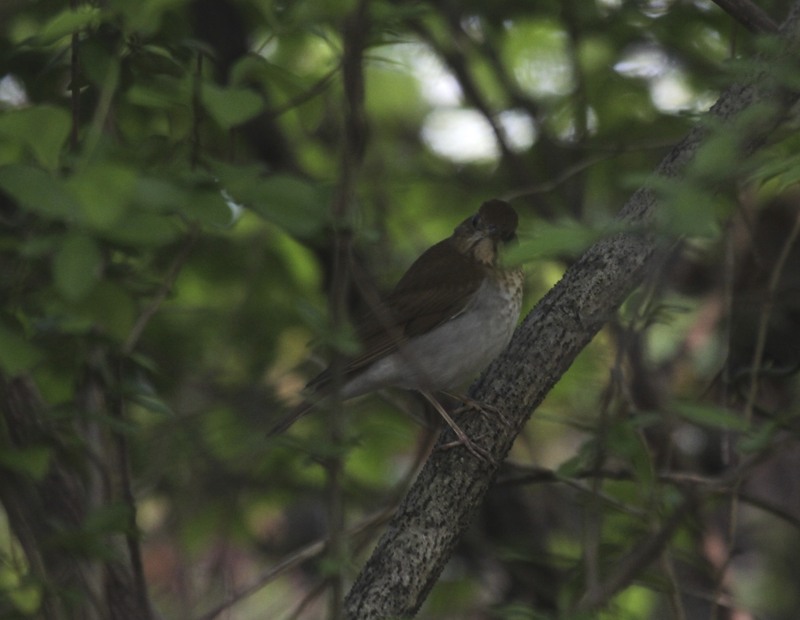 The trip also served as a productive scouting effort for the Fairfield Big Day, as we were able to pick up a number of species that are often difficult to pin down (specifically Green Heron, Brown Thrasher and Orchard Oriole). 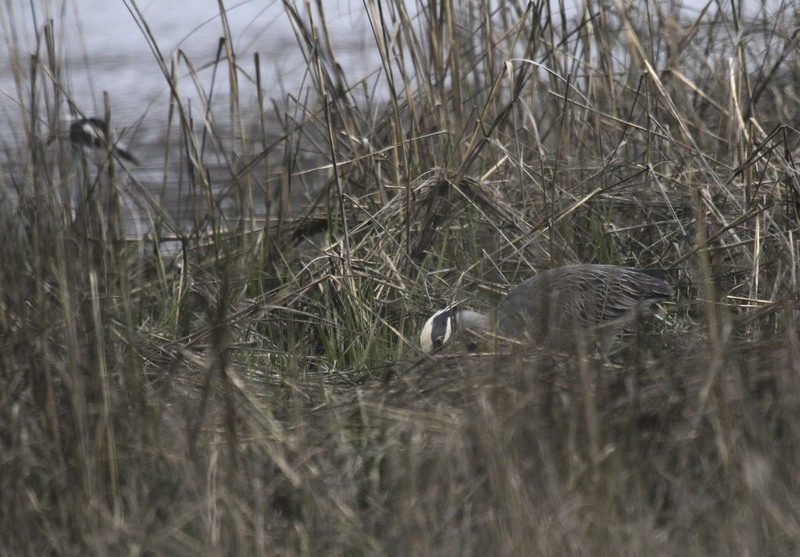 Other highlights at Ash Creek included: Yellow-crowned Night-Heron, Black-bellied Plover, Greater Yellowlegs, Eastern Kingbird, Warbling Vireo, Yellow Warbler (abundant!) and Baltimore Oriole. After Ash Creek I headed home, where I relaxed and finished up on some homework for the rest of the afternoon while reflecting on an incredible weekend and what was ultimately an amazing week and a terrific start to the month of May! I wonder where we’ll be come next week’s post?! 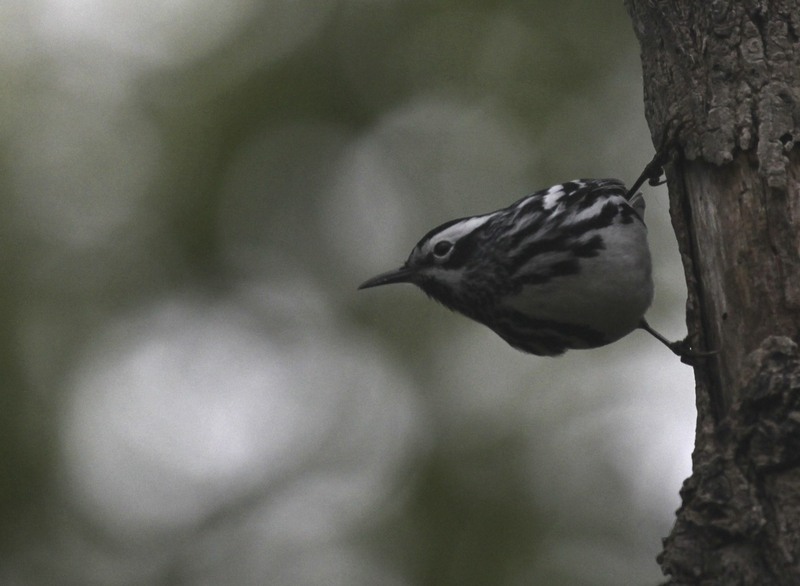 Note: each eBird checklist for every spot is attached to the species total. 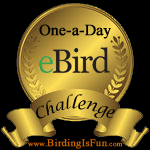 Simply click on where I mention the total number of species to view the checklist. Also: I’ve posted a new poll on favorite warblers on the side. Vote if you’re interested! I’m planning on switching it up next week! Additionally: additional photos from the previous week will be posted on my flickr page in the coming days. Check back soon! Lastly: Please support the Fairfield Big Day effort! More information can be found by visiting the above page: ‘Support the Fairfield Big Day!’ or by contacting me directly. 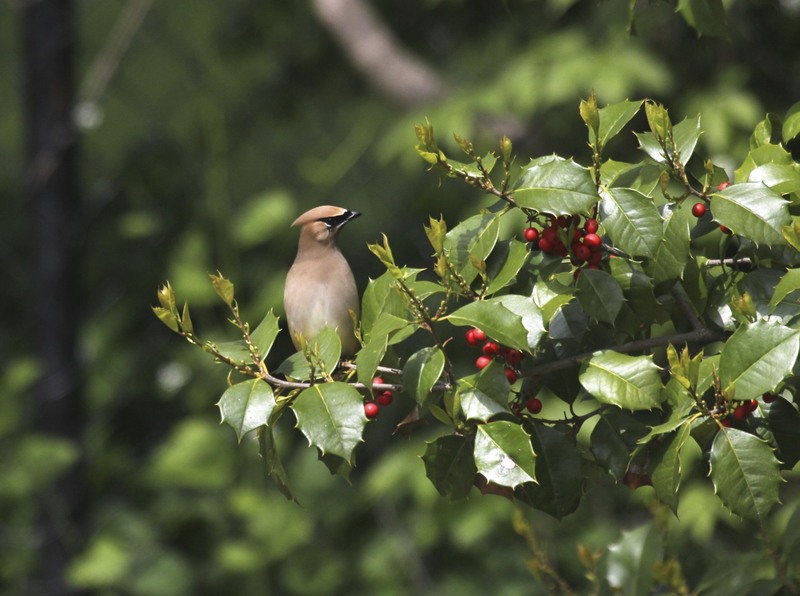 This entry was posted in Connecticut Birding, Fairfield Birding. Bookmark the permalink. Nice pics Alex! The Blackburnian may not have been cooperating fully but, he gave up his age. You got a great shot of his tail so, I went to Pyle. He’s a second-year male by the amount of white in his tail. ASY would show 4-6 outer retrices with white markings. Thanks for posting him! Wow! Thanks so much for the info, Michael! Awesome stuff! Awesome post, Alex! Love the pics! You are just amazing! Happy Birding! An absolutely amazing week-end of birding!! I felt as if I were in the midst of a travelogue. Beautiful photos and incredibly well written! Great job as usual.